- - A - - B - -: MPG! Some lecturers will turn up tomorrow night but some are still thinking kot. But one thing is for sure... Prof Ali Jelani and Dr Hamidon have confirmed and will come! CONFIRM lah! 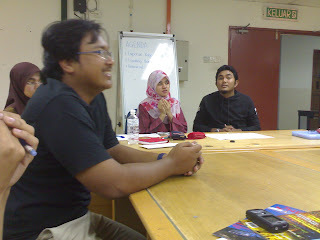 hahaha..
Last night we had our final meeting as the Committee is reaching to their last task before the semester ends! Few didnt turn up but of course lah wit reasonable reasons or else Kak Wana will get sooooooo angry lah kan? (I'm really scared of Kak Wana.) So many things were being discussed last night. 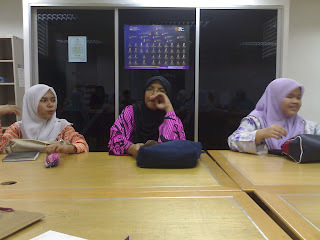 We ended the meeting around 11 pm gak kot. Which is quite late laa... and I was soooooo exhausted yesterday.. doing works from 8 am-11 pm!